Some of us struggle with the fact that God is really good. We are so torn up, so displaced, and so beside ourselves by what has happened to us. This begs the question, has God really been good, because of what has happened to me? Yet we are called to praise the Lord because He is good. Moreover, his love will never, ever change. Unlike human love, the faithfulness of His love is not based on some emotional whim that is here today and gone tomorrow. So, why not make today a genuine expression of joyful gratitude of God? 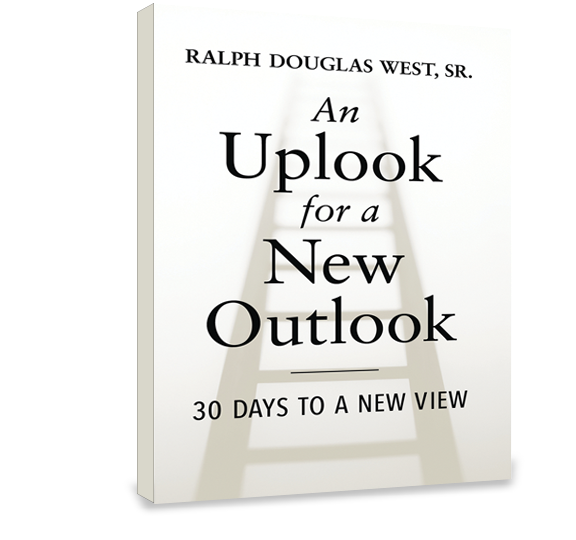 Pastor West’s powerful 30-day devotional book, An Uplook for a New Outlook, is designed to help you develop a meaningful and consistent devotional time – so you can move forward in His love and grace. Step into a year filled with His presence and practical wisdom, knowing that your donation today will help encourage more people with the powerful truth of God’s life-changing Word. Originally published February 18, 2018.